When dear Coffee of The Spice Cafe announced the theme of Monthly Blog Patrol(MBP), this month which is making bread from the scratch using the recipe from fellow bloggers, I have been very busy browsing through all the my favorite blogs searching for recipes. 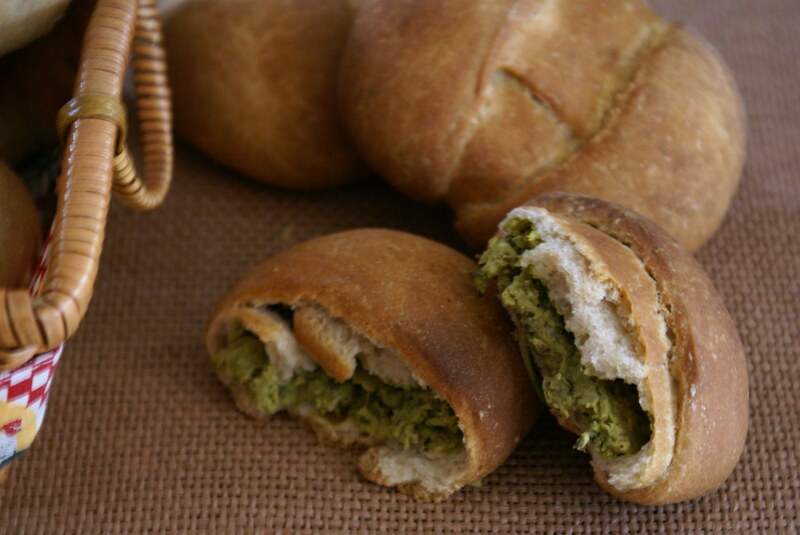 And in that process I came across a very nice blog Bake My Day, where I found so many nice recipes for bread, and the one which attracted me was the Minty Pea Bread. But I guess I need to improve on the shaping of the bread roll!! This is the recipe with little modifications according to our taste. Take a large mixing bowl, add the warm water and sprinkle yeast and sugar over it. Leave aside for 5 mins till it foams. Add in all the dry ingredients for the dough, and mix well. Add Olive oil and mix slowly adding water till it forms soft dough. Lightly oil a vessel, and put the dough in it, and leave it aside for 1 hr, till it raises to double its volume. Add peas to boiling water to soften them, drain and keep aside. In a pan, heat butter and olive oil, add onions and cook till soft. Add the herbs and cook for 2 more mins. Add in peas in lemon juice, let it cook for couple of mins more. Keep it aside, for further use. Punch down the dough, and take a portion of the dough and spread it on to your palm or on lightly floured platform. Place some stuffing in the center and bring the edges together and seal. Proceed in the similar way with rest of the dough. Let rise, covered for 45 minutes. Now bake in a preheated oven for 40 mins at 200C. It was not a bad output for the first try. I was afraid experimenting with yeast, but I found it easy to work with. I must improve a little bit on shaping the bread rolls. The taste was just perfect, with all the herb flavors and I would love to make them again. This is my entry for the MBP – Bread event being hosted by Coffee of The Spice Cafe. what lovely rolls! baking is such a satisfying experience, will try these for sure. mint and pea must make an awesome combination for bread. the open bread rolls in #2 photo look very inviting. 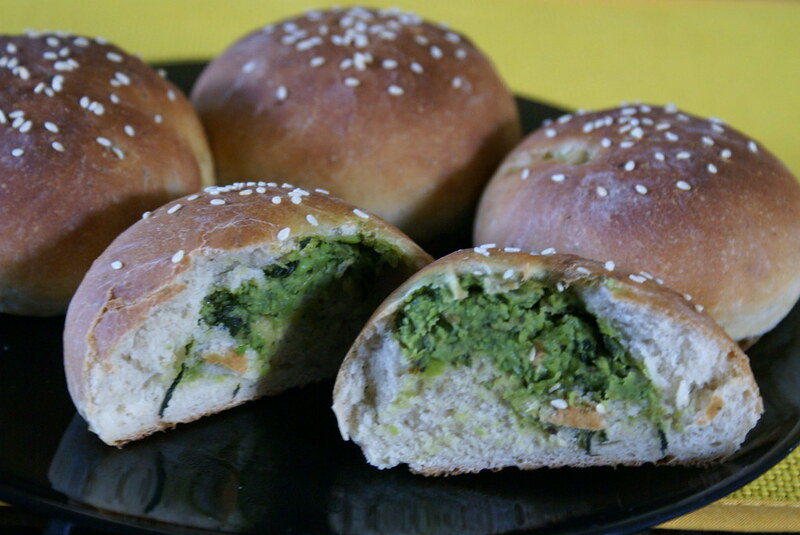 Mint and pea bread rolls looking good.nice entry. why can’t u invite me for a tea party. WOW a spectacular idea. Love the filling here! Realloy great post cinnamon. Looks fabulous. Great entry. Thanks for sharing. This is new. It must have tasted like a masala bun. For a first timer they look awesome! Wow! Looks really good and I guess you could also try different fillings. very good-looking rolls. the filling of mint and peas is a classic combination. thanks for the recipe. it looks so delicious and healthy!! Stuffing with mint and peas is a new combination for me. I am so used to the usual potato filling. So good to learn the new stuff. Valli, Thanks. Waiting for your post on baking!! Asha, Happy Cook, Thank You. Lakshmi, Yes, Mint and Pea was a new combination for mee too. I am happy that u liked it! Suganya, Ya it is almost like the masala bun, except that the filling and flavour is different! Bread looks wonderful Cinnamon. I really wish I could bake bread too. Honestly, I’ve never tried my hand at it for fear of failing. BTW, I’ve posted the pic of the halwa on my blog – just for you girl!! The bread looks crusty and the filling tasty. Nice going Cinnamon. First time in your place,girl…and I am realllly impressed..and also proud to see a blogger hailing from South India!! Wonderful template,nice collection of recipes!! Bread looks nice! !That too with a stuffing.. I think baking from scrap needs much expertise..:)!! Thanx for dropping by, dear!! they look just like peas kachori.isn’t it?? I love fresh yeast-breads. I can just imagine how warm and good these were with that stuffing. I love savory breads. bookmarking this and will try. beautiful! 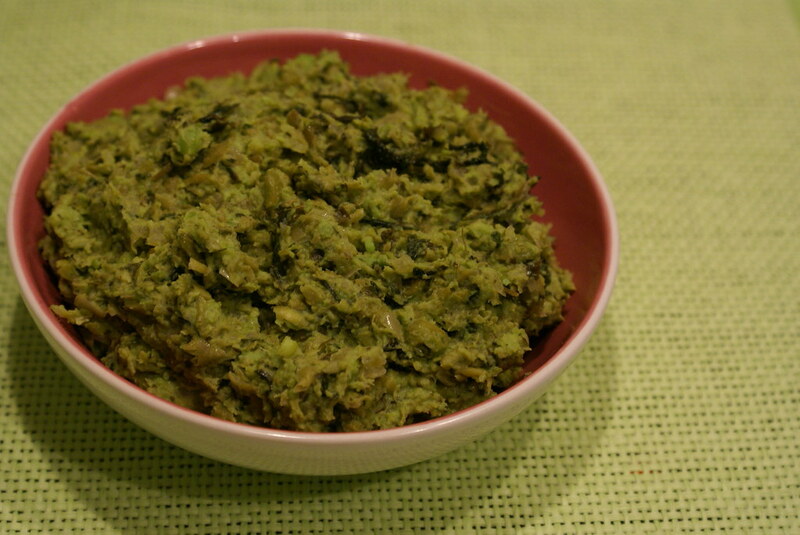 i use pea stuffing for cutlets…nice entry for the event! btw, I love your header image! very nicely done:) kudos!! 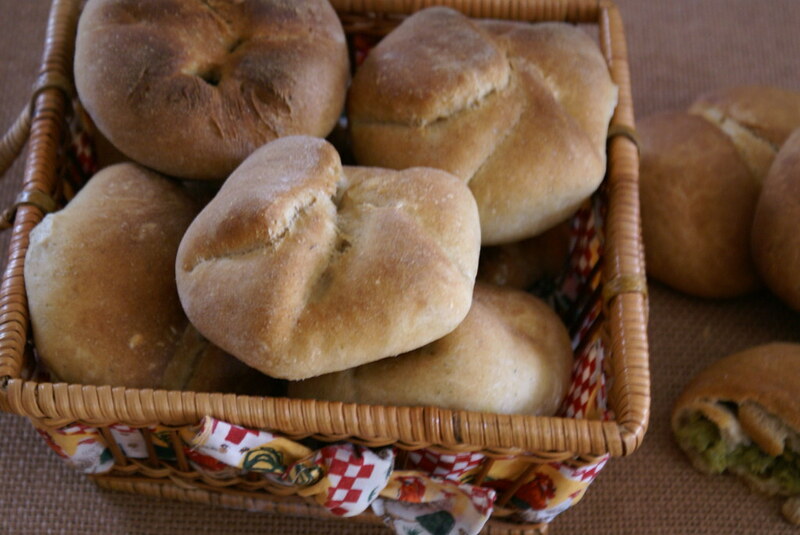 Wonderful looking bread rolls. Great entry.